It is known that rock-water interaction has important effects on the physicomechanical properties of rocks. In this study, 20 rock with different origins were used. The water absorption properties of rocks were determined by immersion and capillarity-effected water absorption experiments. The rocks are classified according to the water absorption properties of the capillary effect. The relationships between water absorption properties and porosity properties of rocks were evaluated by regression analysis. The results obtained are given in the form of regression equations. Güleç, K., (1974). Kayaçların Fiziksel ve Mekanik Özelliklerinin Su Muhtevası Ile Değişimi, Madencilik Dergisi, Cilt XIII, Sayı 3, Maden Müh. Odası Yayını, Ankara. Vasarhelyi, B., (2002). Influence of Water Saturation on the Strength of Volcanic Tuffs in Eurock. International symposium on Volcanic Rocks. Maderia, pp:89–96. Vasarhelyi, B. and Van, P., (2006). Influence of Water Content on the Strength of the Rock. Eng Geol 84(1–2), pp:70–74. Erguler, Z.A. and Ulusay, R., (2009). Water-induced Variations in Mechanical Properties of Clay-Bearing Rocks. 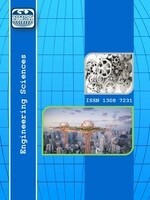 Int J Rock Mech Min Sci 46(2), pp:355–370. Çelik, M., Akbulut, H., and Ergul, A., (2013). Water Absorption Process Effect on Strength of Ayazini Suff, such as the Uniaxial Compressive Strength (UCS), Flexural Strength and Freeze and Thaw Effect. Environ Earth Sci, pp:1–13. Wang, S.R., Hagan, P., Li, Y.C., Zhang, C.G., and Liu, X.L., (2017). Experimental Study on Deformation and Strength Characteristics of Sandstone with Different Water Contents. Journal of Engineering Science and Technology Review 10(4), pp:199–203. Hawkins, A.B. and McConnell, B.J., (1992). Sensitivity of Sandstone Strength and Deformability to Changes in Moisture Content, Quarterly Journal of Engineering Geology, 25, pp:115-130. Han, G. and Dusseault, M.B., (2002). Quantitative Analysis of Mechanisms for Water-Related Sand Production, SPE 73737, the SPE International Symposium and Exhibition on Formation Damage Control held in Lafayette, LA, U.S.A.
	Wong, L.N.Y., Maruvanchery, V., and Liu, G., (2015). Water Effects on ROCK STRENGTH and Stiffness Degradation. Acta Geotech., 11, pp:713–737. Zhang, D., Gamage, R.P., Perera, M.S.A., Zhang, C., and Wanniarachchi, W.A.M., (2017). Influence of Water Saturation on the Mechanical Behaviour of Low-Permeability Reservoir Rocks Energies, 10(2), pp:236; doi:10.3390/en10020236. Özdemir, A., (2002). Capillary Water Absorption Potentials of some Building Materials. Journal of Geological Engineering, 26, pp:19-32. Akın, M., Dinçer, İ., Özvan, A., Oyan, V., and Tapan, M., (2016). The Role of Capillary Water Absorption Characteristics of Ignimbrites on the Deterioration of Ahlat Seljuk Tombstones, Journal of Geological Engineering, 40(2), 149-165. ISRM, (1981). Rock Characterization Testing and Monitoring, Suggesting Methods, Oxford. TS EN 1925, (2000). Natural Stone Test Methods- Determination of Water Absorption Coefficient by Capillarity, Turkish Standard Institute, Ankara. Altunok, E., (2007). Bazı Kayaçların Su Emme Özelliklerinin Ve Su Emmeye Bağlı Ultrasonik Hız Değerlerindeki Değişimin Incelenmesi, Yayınlanmamış Bitirme Tezi, Maden Müh. Blm., Selçuk Üniversiesi Konya. ISNAD Unal, Murat , Altunok, Erhan . "DETERMINATION OF WATER ABSORPTION PROPERTIES OF NATURAL BUILDING STONES AND THEIR RELATION TO POROSITY". Engineering Sciences 14 / 1 (January 2019): 39-45.